Motorcycles may be expensive, but a set of high-quality motorcycle gear can put a dent in your pockets too. To get the most for your money, you need to keep your gear in top condition by properly cleaning each piece on a regular basis. If you’re one of the many bikers across Ohio who has been forced to call it quits until spring, take advantage of your newfound free time and give your gear a good scrub down. Riding season will be back before you know it! Follow these tips to get the best results on leather or textile pieces. Use cleanser AND conditioner. Failing to complete both steps can dry out the leather and destroy the strength of its protective qualities over time. Leather is very sensitive to chemicals, so stick with products designed specifically for the material. Lexol and Leather Therapy® are popular options. Follow the instructions on the cleanser and conditioner labels. Even the best products could damage your gear if used the wrong way. Test all products on a small, hidden section before applying them to the whole item to avoid discoloration or other damage. To tackle tough spots, you may need to use a clean, soft-bristle brush and a mixture of leather soap and warm water. Be very gentle with the brush on the leather, and if you use a different type of soap make sure it does not contain bleach or chlorine. Take your time. Cleaning leather gear can be a long, boring process, but be patient and use minimum force for best results. Modern textile motorcycle gear can often be cleaned in your home washer and dryer, but always look at the item’s care instructions first. Check for leather or suede details before putting an item in the washer or dryer. Even if just a small section of the item contains those materials, you’re better off washing it by hand. To get rid of excess detergent or residue, run your gear through a second wash cycle without adding soap. The dryer can be tough on zippers, clasps and other metal components. If you have time, let your gear air-dry. Consider using a wash-in water repellent or external water and stain repellent to better protect your gear. Check out this guide from Motorcycle Cruiser for more detailed instructions on cleaning both types of gear. Is your gear made with a hybrid of the materials or another unusual fabric? Bike Bandit might be able to help you out. Remember – the longer you let grime and debris set in on any material, the harder it will be to remove later. Get in the habit of cleaning your gear on a regular basis throughout riding season. Always keep an eye out for rips, chafing, loose stitching or other signs that a piece may be at the end of its rope. After you’ve taken the time and effort to properly clean your gear, don’t just toss it in the corner of your garage. Instead, construct an inexpensive gear stand out of PVC pipe. 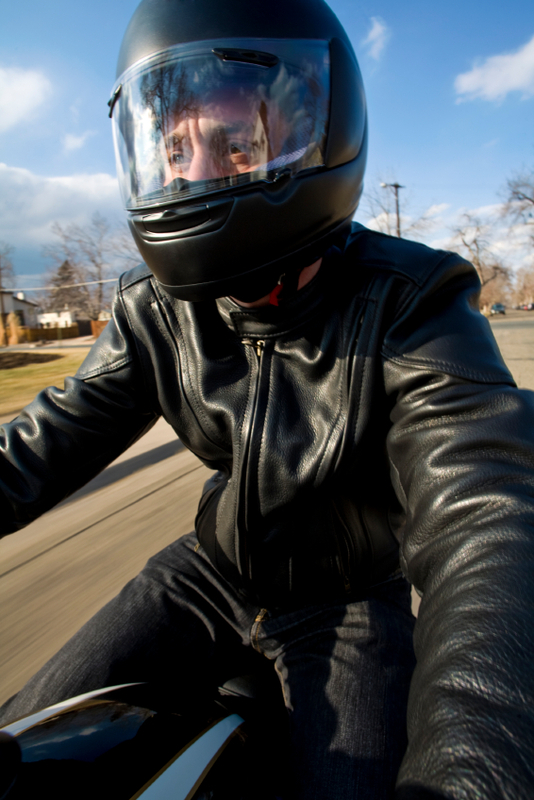 What are your best tips for keeping motorcycle gear in top shape? Share below.